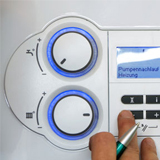 On power flushes, boilers and all general heating services. ASA plumbing is Gas Safe Registered, meaning you can have piece of mind knowing your boiler installation or repair company are registered with the leading board of authority. ASA Plumbing's engineers are all qualified with the vocational plumbing course of city and guilds. You will only ever have a qualified plumber working on your system. ASA Plumbing have been vetted by CORGI, a regulator in the industry, our engineers can provide documentation to prove they have passed all CORGI regulations. ASA plumbing are experts in power flushes. A power flush is a legal requirement and must not be overlooked by any homeowner. Click this link to find out more. Are you looking for a plumber in Hyde or anywhere within 25 miles? Would you prefer a highly qualified, Gas registered and Corgi approved plumber? Then look no further! ASA Plumbing are fully registered in the United Kingdom, and we also boast of various certifications such as Gas Safe, City & guilds and CORGI. Even small plumbing problems can quickly turn into large issues that are costly to repair. They can cause damage to your home and your belongings. A plumbing emergency is a true emergency, and you will need a professional the second this issue develops. In some cases, though, you can prevent plumbing emergencies from ever happening by calling a plumber as soon as there is any sign of trouble. A leaking pipe can quickly escalate to a flooded kitchen without prompt repair. 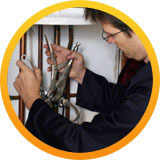 If you are looking for Plumbers Greater Manchester, we can help you address any minor or major plumbing issue today. A pipe fitting can cost less than a pound, but the havoc that it causes when it fails can easily cost you hundreds of times that. In addition to paying for repairs, you may be stuck with costly water damage to your flooring, cabinets and furniture. While it may seem like something you can fix on your own, your first call should always be to a plumber. A plumbing emergency, no matter how minor it seems, calls for a trained professional to address the issue. ASA Plumbers Hyde can fix all of your plumbing issues as quickly as possible, and for a great price. Call us today for an appointment. If your toilet is clogged or the pipes under your sink have sprung a leak, you need the services of a skilled plumber. While some plumbing issues can be repaired by a homeowner, most can be done faster and cheaper by an expert professional. Plumbers require years of specialized training, and have all of the tools and the knowledge to repair pipe issues correctly and quickly. Most homeowners don't have the tools or skills necessary to fix any but the simplest of plumbing issues, and often find themselves calling a plumber to fix their own "repair." Plumbers Stockport has a team of experienced, honest plumbing professionals who can save you time and money on your pipe repairs. Call us today for an appointment. Finding a good plumber is one of the most important tasks for a homeowner. Unfortunately, it's something many people overlook until there is a plumbing emergency and their home is filling with water. It is a good idea to build a relationship with a local plumbing company before an emergency occurs. Then they have your information and can repair your pipes as quickly as possible when there is a major problem. They can also help you to prevent problems through maintenance. Contact ASA Plumbers Manchester today to learn more about our services and to have your plumbing inspected to look for any potential issues. Having a local plumbing company on your speed dial is a great boost if you encounter a plumbing situation that requires emergency services. With a plumbing company that is located in your neighborhood, a plumber can get to your house in an emergency much faster than one that must drive from a neighboring town. If you have a pipe failure and your home is flooding, the time saved can mean hundreds of pounds of money saved. ASA Plumbers Glossop serve homes and businesses in your local area. Call us today for a preventative maintenance check or for emergency services. A magnificent job fitted a full new heating system, set up for the kitchen appliances, added toilet, waste pipe, sink and bath to absolute precision for half the price of all my other quotes!